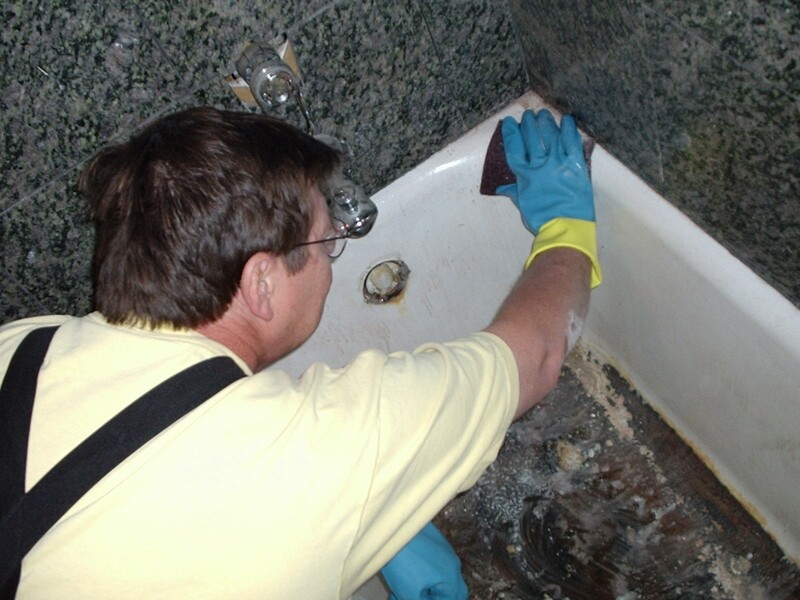 The refinishing process starts with preparing the workplace. A powerful ventilation system is put into place to vent fumes to the outside. The area surrounding the tub is protected. Any required repairs are made. This includes cracks, dents, scratches and rust. 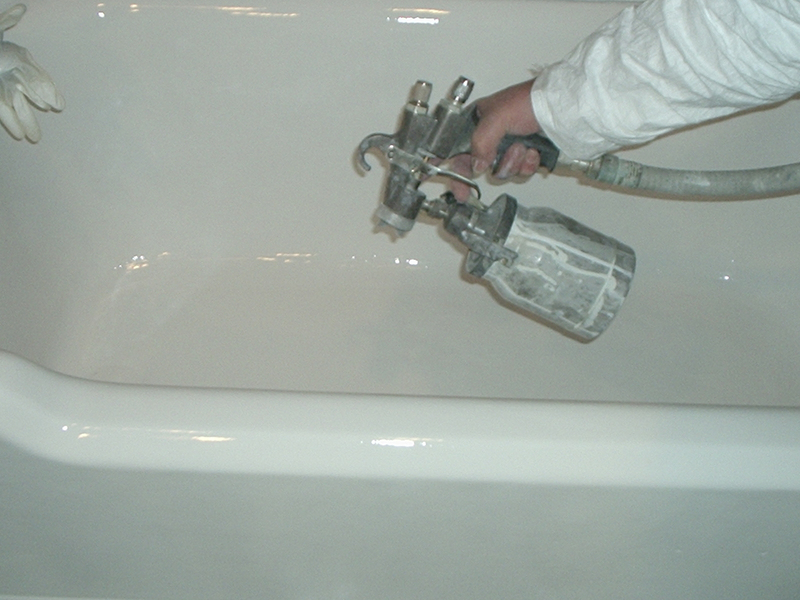 Thorough preparation of the surface is critical to a beautiful and lasting finished product. The surface needs to be prepared so the topcoat will adhere permanently. Finally the topcoat is applied with a professional spray gun. The skill of our craftsmen mean the resulting finish will be durable, lasting and free of drips or streaks. 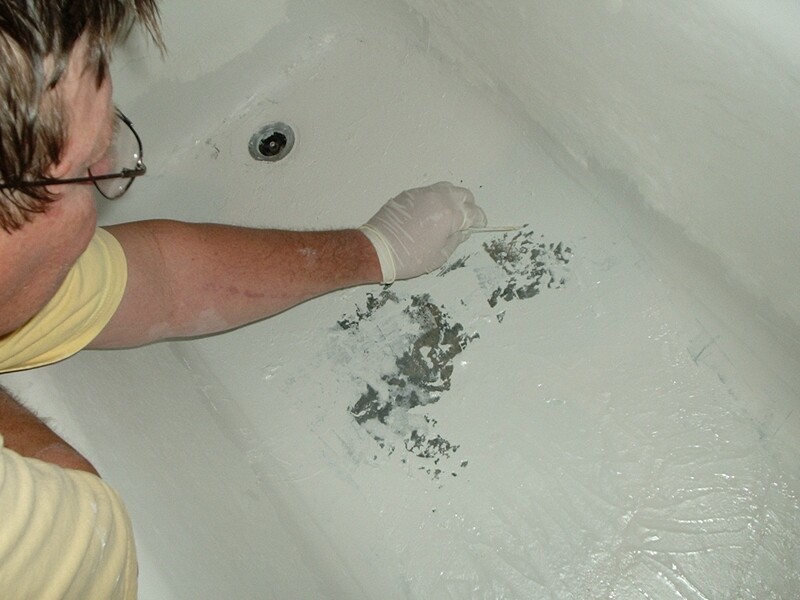 Florida Bathtub Refinishing is a fully licensed, insured, and bonded bathroom refinishing company located in Miami, Florida. 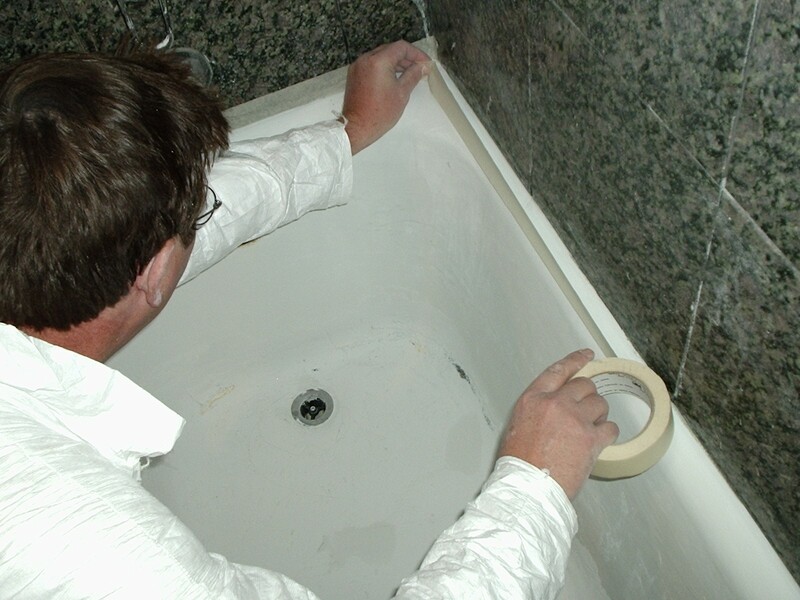 Refinishing is the most cost-effective method to rejuvenate bathtubs, sinks, counters or tile.